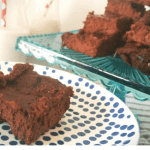 This recipe for Chocolate Beet Brownies poses the question: if no one knows there are vegetables in the brownies, are they really in there? If a beet falls in a forest……. 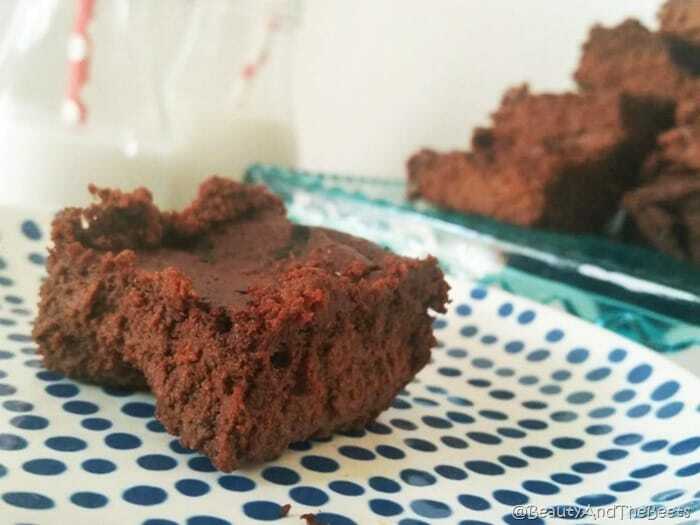 A few years ago I posted a recipe for my Iced Beet Cake and it was a huge success. I had a lot of great feedback and some glowing comments, but I sort of accidently fell into that recipe. It was supposed to be more of a blonde brownie then a cake, but that didn’t work out so well for me. They were definitely large and spongier than what I feel a brownie should be. But people loved them. I decided I really wanted to conquer a true brownie recipe using beets so after some experimenting, I think I may have found success. 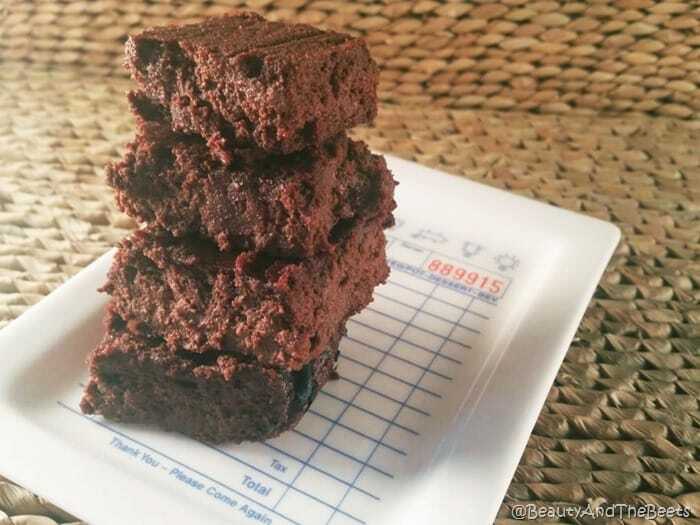 I made a batch of brownies that are chewy, sticky and more dense, like a brownie should be. Like a very rich chocolatey fudgy brownie should be. 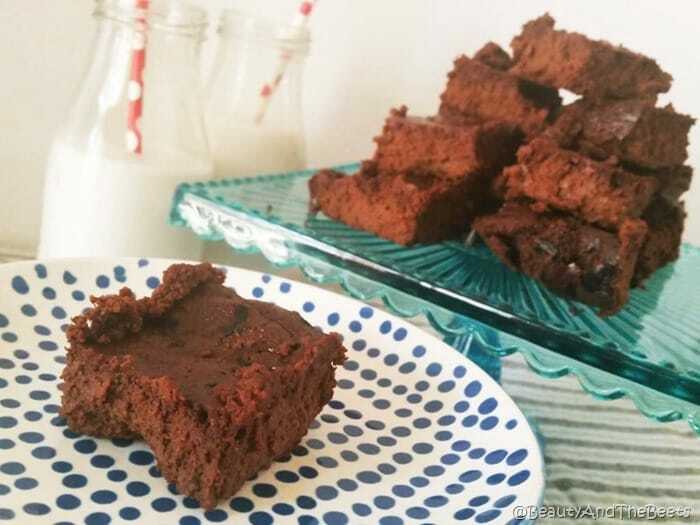 And these Chocolate Beet Brownies are rich. Not quite as dense as fudge, but still very fudgy. Not as spongy as cake, but still very cake-y. And not beet-y at all. I had several people try this and were quite surprised when I told them the recipe actually contained beets. “What??? Vegetable brownies?” they said. Why yes, vegetable brownies I guess. And beets. People either love beets or they shudder at the very thought of such a thing. Vegetables in dessert is really a big trend right now. 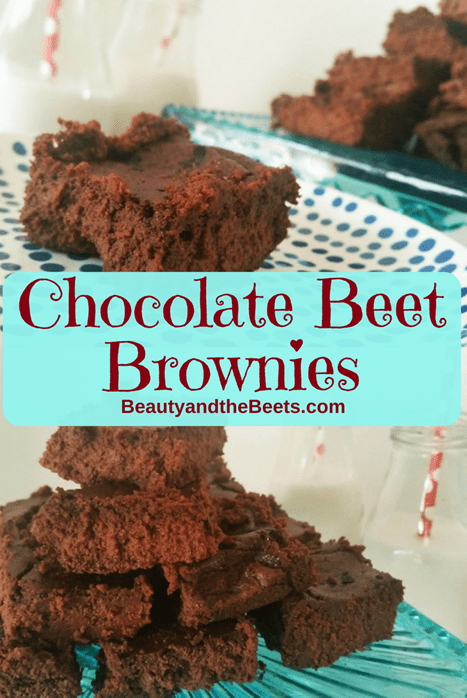 And beets and chocolate work so well together. 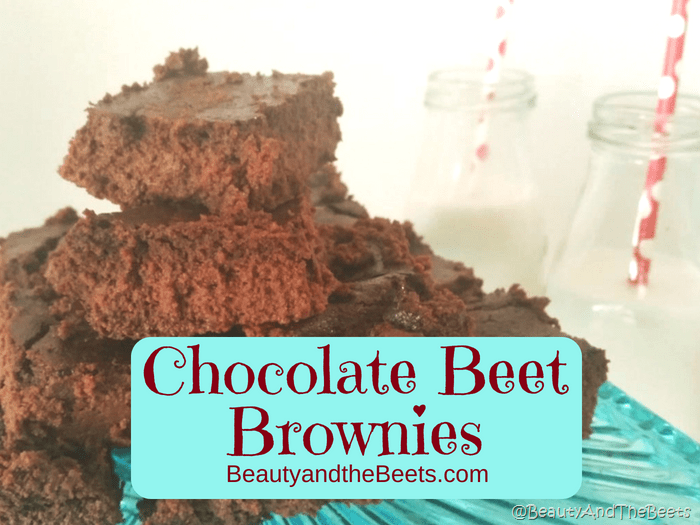 The taste of chocolate is rich and powerful while the beets are moist and earthy. Unless you spill the beans, or the beets, nobody will know your little secret about thee Chocolate Beet Brownies but you. I promise not to tell if you don’t. Preheat oven to 400° Spray a 13x9 baking pan with cooking oil spray. Chop the chocolate into smaller pieces, add to a glass measuring cup and melt in the microwave in 10 second increments. Add the beets to the bowl of a food processor and puree until fairly smooth. Add the melted chocolate, butter, vanilla and eggs and blend. Add the sugar, cocoa powder, baking powder and chili powder and bland until the batter is smooth. Pour the batter into the baking pan and bake 30-35 minutes. The brownies should begin to pull away from the side of the pan a bit. 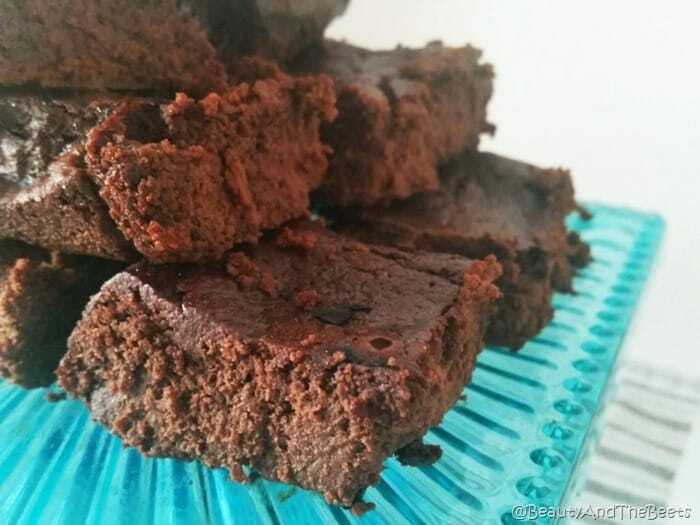 Allow brownies to cool before cutting. The brownies will be sticky so be sure to wipe your knife between cuts. What “vegetable” brownie do you prefer?